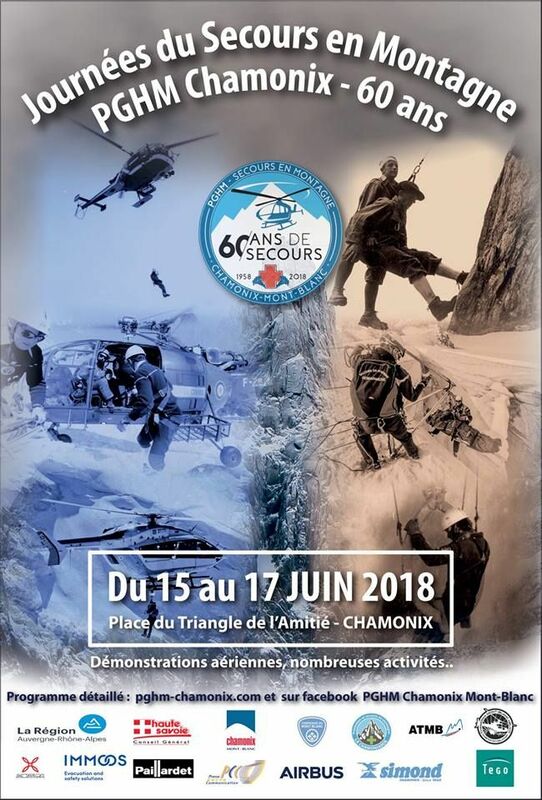 Surely the most famous mountain rescue unit in France, the Gendarmerie High Mountain Unit (PGHM) of the city of Chamonix, in the Alps, is celebrating this month its 60th anniversary. Hence, these gendarmes do both rescues and investigations, working closely with helicopter pilots, civil security, gendarmerie dog handlers, doctors and so on. – Friday 15 June: conference on “60 years of relief”. 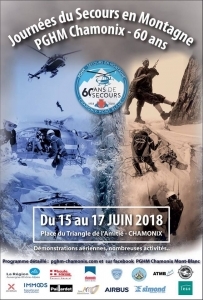 – Saturday 16 June: “village rescue” with many demonstrations and animations (helicopter demonstration, climbing wall, exhibitions, aerial demonstration on the site site. – Sunday 17 June: “Village Relief” and the official ceremony. In addition, the National Mountain Training Center of the Gendarmerie (CNISAG) celebrate its 30th anniversary. Located in the same premises as the PGHM, they train not only French gendarmes but also officers from other countries. Picture below: Mr Lambert, Prefect; Mr Collomb, Minister of Interior; General Lizurey, General Director of the Gendarmerie Nationale.